The world's first car to offer three electrified powertrains - the new Hyundai IONIQ - has collected the maximum five-star safety rating from independent vehicle assessment organisation Euro NCAP. In the test the IONIQ achieved top marks in the four categories: Adult Occupant, Child Occupant, Pedestrian and Safety Assist. The IONIQ features plenty of standard active safety spec on all versions including Autonomous Emergency Braking with pedestrian detection, Lane Departure Warning, Lane Keeping Assist and Smart Cruise Control. Euro NCAP tested the IONIQ’s standard-equipment Autonomous Emergency Braking (AEB) with good overall performance. When a vehicle or pedestrian is sensed in front of the car, the system is activated, operates at speeds of 5mph or above, and avoids a collision or minimises damage when a collision is otherwise unavoidable. The Lane Keeping Assist system including Lane Departure Warning alerts the driver acoustically and visually if the car crosses road markings without indicating, and applies slight force to the steering wheel in order to guide the driver back to a safe position. The system was 'thoroughly examined' by Euro NCAP and passed all tests successfully. A total of seven airbags are positioned around the interior of the IONIQ, including a knee airbag for the driver – were another factor that was central to the positive Euro NCAP test result, says Hyundai. The IONIQ Hybrid and the IONIQ Electric are on sale now with the IONIQ Plug-in to be introduced in 2017. 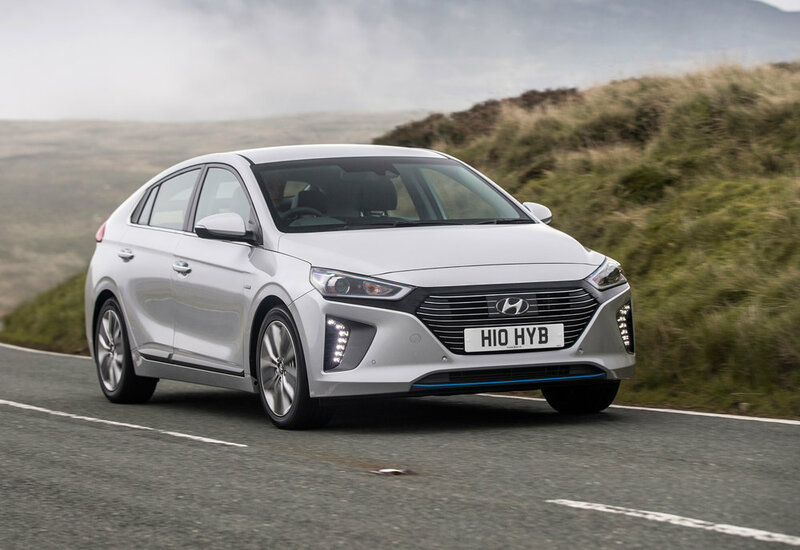 Prices start at £19,995 for the IONIQ Hybrid SE 1.6 GDi with Hyundai saying the IONIQ Electric is 'expected to receive eligibility' for the Plug-in Car Grant, enabling customers to potentially receive a £4,500 grant towards the purchase of the vehicle.